We are excited to be part of the fun and exhibiting at the show this year. We will be demonstrating how to convert that beautiful vintage or sports car seat into something more comfortable, without needing to change the seat itself! As an old sports car owner myself, albeit not quite classic territory, I know how gorgeously aged the seats become, but as a previous back pain sufferer, I also know how their design isn’t exactly the most comfortable, especially the bucket seat design, exacerbating any old pain sensitivities during a long drive – both for the passenger and the driver. So I created the back support cushions with this in mind and am pleased to report that it has transformed my enjoyment of the car! It has even stopped us selling it for a few years more. So come and test them out for yourself. We will have special offers on the day, and free consultation sessions too, for all your postural needs – be it in the car, home or office. If you would like to book a slot, let me know the times you will be there and I will book you in. Or just pop in to rest your legs on one of our ergonomic chairs! 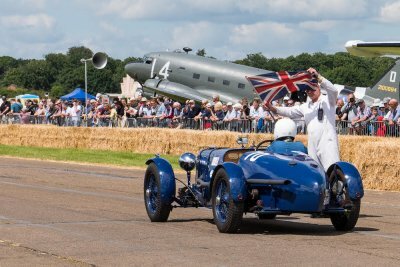 Fun for all the family, there will be lots to see and do including displays and events both in the air and on the ground.